If a bear has crossed your path, it may be Spirit's way of telling you something. 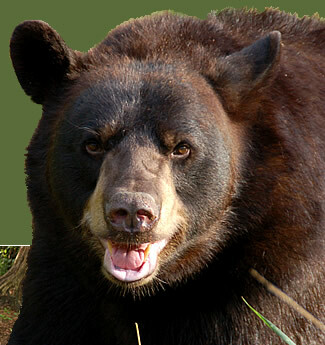 Most bears are known to attack when their cubs are threatened, or when they are very hungry. On a symbolic level, this may be a message regarding how you feel towards your loved ones. Are you being overprotective? Or are you maybe unaware that they may require protection? On another level, maybe those cubs represent your dreams, or a new venture. In that case, it is imperative to surround yourself with supportive people and guard your interests accordingly. Are you hungry for something new? An exciting experience to take you away from all the humdrum mundane tasks and duties that make up your day? Not sure what you want? Now might be a good time for a retreat...hibernate for a little while. If you can't literally get away, meditate. Enter into the dreamlodge and allow yourself to imagine a life that would feel more vibrant. Place some physical, emotional or mental distance between yourself and others..."you" and your roles. If the right thing for you may greatly impact someone else...what will you do? The best approach may be to ask yourself "why?" Why do you want what you want? You just may discover that you don't really want what you thought you wanted. You just may believe its all you can have.